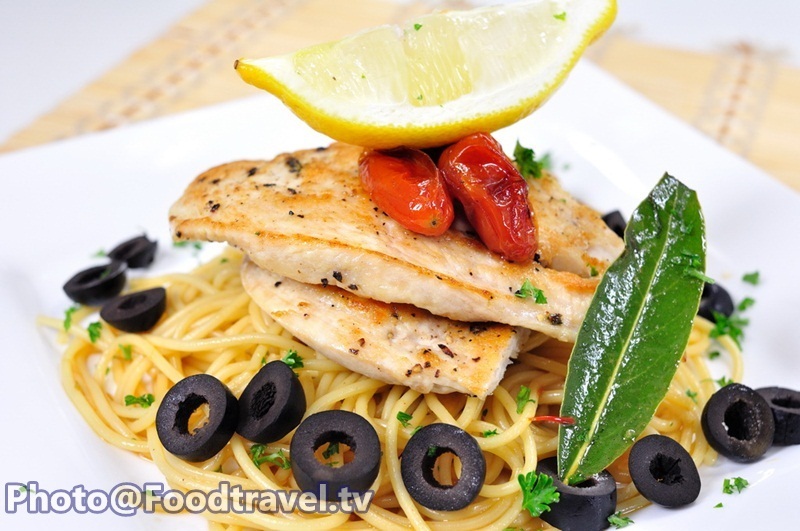 Pasta Lazio with Grilled Chicken - Pasta Lazio with Grilled Chicken Breast is a menu for any rush hour that give you full flavored that instant food cannot give you. Just do it. 1. Seasoning chicken with salt , pepper and olive oil then roast the chicken and leave them cool. 2. Boil the white wine and onion until they dry out half of them. So put the butter, caper, bay leaf and chopped parsley into the same pot. After that put the gravy and seasoning with salt , pepper and olive oil then put the boiled pasta into the pot and stir them together. 3. 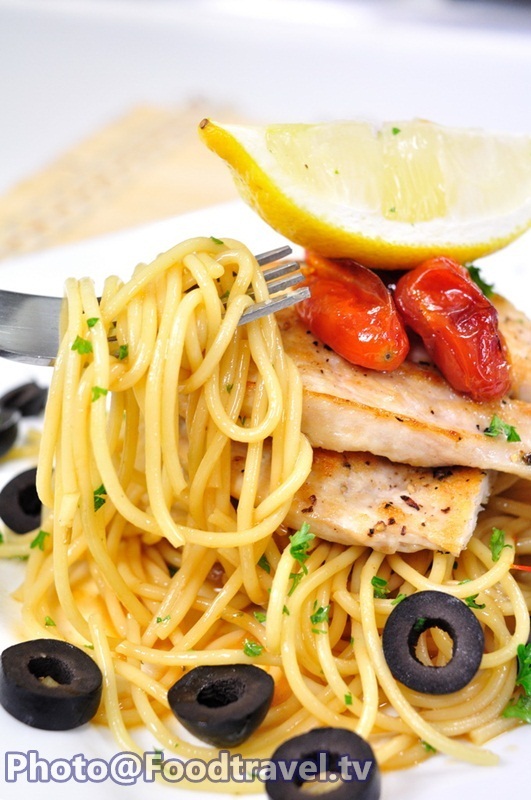 Serve pasta with grilled chicken. Soup from grilled chicken we can put in to the pasta sauce for more delicious.